I usually really enjoy Alison Weir's books; but this one is quite boring if thorough. Maybe, tyrants not matter how brilliant are just kind of....boring characters. The narrator has a pleasant, calm voice but it's quite an unexceptional narration (as in, not particularly engaging). I found this boring & good for sleep...others might find the narrator keeps herself out of the way of the author's work. I highly recommend this book. 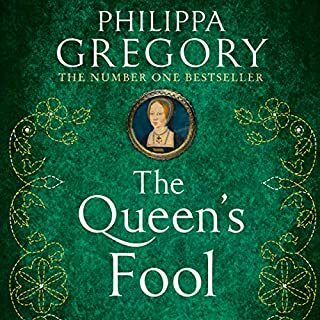 The most detailed account of Henry the Eighth's reign I have read. The performance was also exceptional. 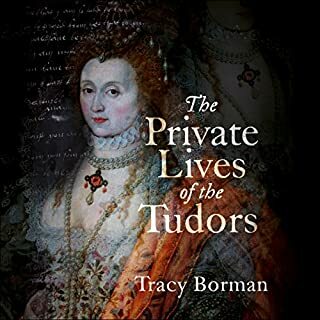 If you're a Tudor addict like me, this is a must. 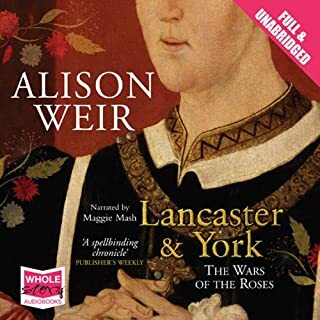 Prolific historian/novelist Alison Weir has placed most of her focus on the Tudors in her writing. Henry VIII and his wives have received her particular attention. This book is slightly off from the more salacious spotlight on the marriages. They receive mention but are not the book's core. 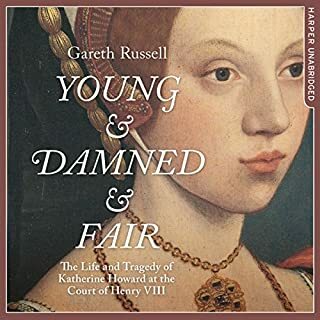 This book revolves around the court of Henry VIII: the costs, the entourages and hangers-on, the internecine fights for the king's attention, and, yes, the wives. Henry VIII is frequently given a negative perspective by historians and in popular culture. Some of that is earned. He was known for furious outbursts with nearly every courtier was often influenced by those who did not have his best interests at heart. Weir does nothing to dispel that reputation, but she does want the reader to see a more three-dimensional figure. 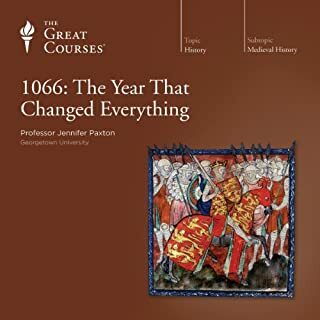 Henry VIII was also a genius who, despite delegating the operation of the kingdom so that he could hunt and dance, was still thoroughly aware of what was happening in his kingdom. 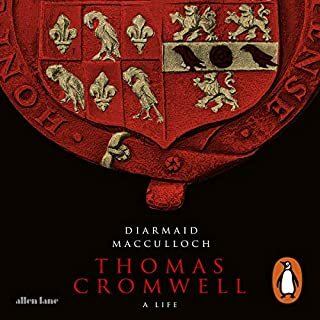 He was firm in countermanding decisions by ministers like Thomas Cromwell, corresponded with people both inside and outside England, and read widely. Despite his temper he was also sensitive enough to be known to cry over some events and deaths. Perhaps what marked his reign as much as anything, however, was his willingness to spend money. He inherited a fortune from his thrifty father as well as regular income from tax collections. Weir does in-depth tallies, with conversions to current figures (such as 40 shillings equaling 600 pounds in today's currency), on the costs of the meals, the pageants, the jousts, the clothing, the castles, and feeding an entourage of hundreds of ranked individuals along with as many of their servants as they could sneak in. Even costs for flowers to Anne Boleyn are included along with her expenditures on shoes. Weir is enough of a dramatic writer that the figures never overtake the narrative and there is plenty of time spent on the intrigues and oddities of court, such as the power held by Henry's "Groom of the Stool" who was to keep Henry company while he sat on the toilet and hand him a flannel cloth so his majesty (Henry was the first to use the term) could cleanse his backside. It was one of the most powerful positions in the kingdom. The somewhat narrow topic allows Weir to be concise while still covering a reign of over 35 years. 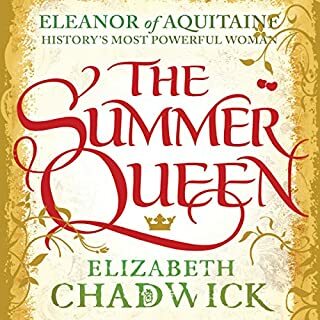 From his coronation as a handsome 6' 2" youth of 18 to his painful and bloated death in his mid-50s there are dozens of stories small and large that she manages to cover through the narrative. I have this book in paperback form and it's an excellent book. However, I think Phyllida Nash is a terrible narrator. She highs and lows her words. Usually, each sentence starts out high and strong but as the sentence goes on, her voice is so low, her words clipped, that I can't hear what she's saying even though my computer's volume is at 100% and iTunes volume is at 100%. This takes away all enjoyment from this wonderful book. 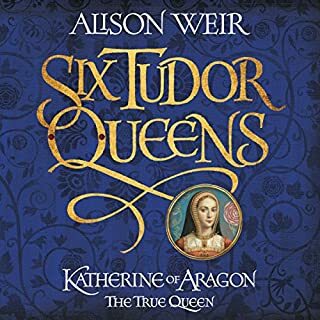 I've noticed that the other books written by Alison Weir have a different narrator. I'm going to return this audiobook and will buy the others. The level of detail that is spent on everything was very distracting. The author cautions you that the first 10 chapters will be spent laying out all of these details in order to set the stage. However, the details persisted much longer. I did not finish the book as it was too detailed, i.e. the types of fabrics the clothing was made out of and the types of lines used for bedding, etc. I was more interested in the actual life and events of Henry VIII. While they are part of the story they are buried in the minutiae. I am not a huge fan of this author's fiction, but this is a GREAT book! I enjoyed the detail and the modern day equivalents given on money spent on clothes etc... The narration... I had a hard time understanding her at first, she's soft spoken and conbined with her accent it wasn't super captivating but it was ok. Great Book! Add this to Ms. Weir's other books on the people and times, and you can picture what the times were like. She moves the lens 90 degrees with each book, so the subject matter never gets boring! Would you listen to Henry VIII: King and Court again? Why? 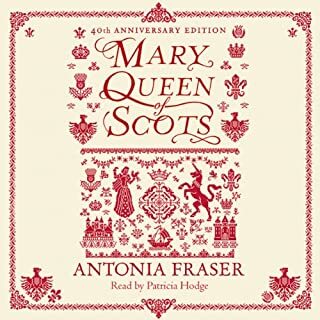 Simply on of the best audiobooks I've enjoyed.Ms. Nash's narration alone is worth the purchase price. Which character – as performed by Phyllida Nash – was your favorite? Ms. Nash gives life to all. The courage Anne Boleyn displayed as she met her death was quite moving. Worthless dates down to the day and time. Come on this was 300 yrs ago &amp; there was no story. What disappointed you about Henry VIII: King and Court? I prefer her fact/historical fiction books, such as The Other Boleyn Girl. 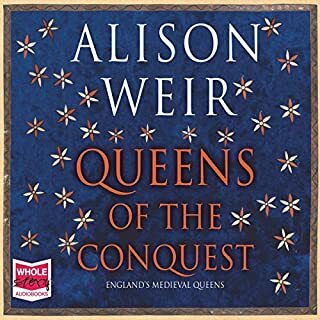 Would you ever listen to anything by Alison Weir again? What didn’t you like about Phyllida Nash’s performance? Did not care for the voice or it could be the content. The author is not only a historical scholar but also an engaging writer as displayed by this impressive biography of a complex and erratic monarch. 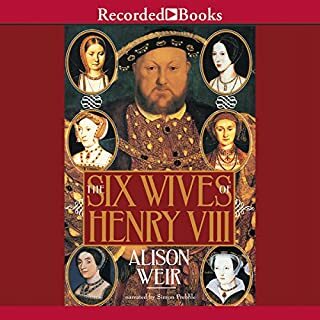 The Tudors have had many books written about them, and Henry VIII and his many wives have held particular fascination. 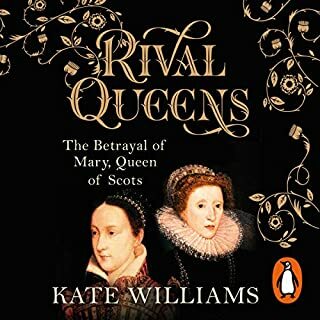 The author has written a book about the wives and so has mainly only dealt with how the King’s relationships with them had far reaching consequences for the political and religious balance and the status and power of the various aristocratic factions. The corrupting influence of absolute power is illustrated as Henry’s early days of promise deteriorated into excess, vanity and unpredictability. Power that encouraged the political and social rivalries among the aristocractic families and exposed the dangers of being close to the King. Henry’s transformation from Defender of the Catholic Faith to excommunicated enemy of the Vatican and the ever-changing alliances and conflicts among the countries and monarchs of Europe are explored in detail. 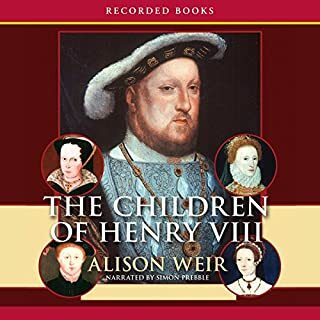 The first few hours of the recording describe much domestic detail about Henry’s properties, his recreational past times and the social protocols of a monarchy and contain many lists and prices, which are illuminating if you are interested in how the aristocracy and royals lived at the time: which was very comfortably if you managed to keep you head! 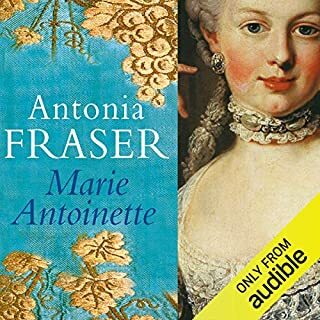 I enjoyed this book and learnt more about this period in history aided by a lively style of writing and an excellent narrator. Thank you Audible for having Phyllida Nash to read this. Alison Weir's text is well studied, clear and easy to follow and Phyllida Nash brings it to life. historical package which really immerses the reader in the time period. puzzling over what some of the descriptions relate to. colourful period of English history must read. Not Weirs best by a long shot. 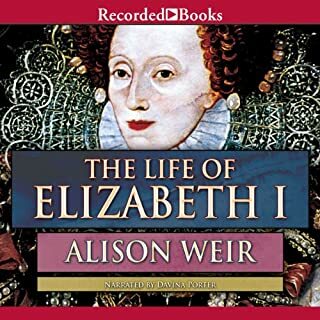 With her third Six Queens Novel just published, I thought this would be a great listen to get me back in the Tudor frame of mind. It’s non fiction but at times links appeared implausible and verging on fictional. 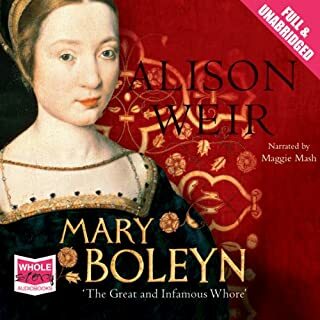 I do think Weir’s fiction is exceptional and was frankly bored with this account of Henry VIII Court. Dry and then felt like fiction at times. Many other much better books to read so I am moving on. 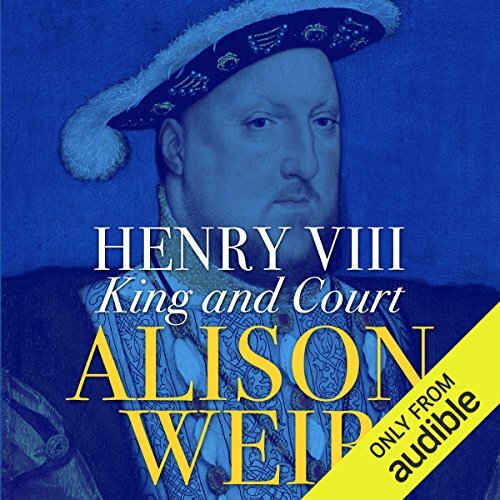 Would you consider the audio edition of Henry VIII: King and Court to be better than the print version? What other book might you compare Henry VIII: King and Court to, and why? great book. extremely interesting. very well read. if you love the tudors this book is for you. extremely well read great narration and extremely interesting. In spite on the moderately positive evaluation of the last chapter, the facts speak for themselves. Henry was a narcissistic ruler who nearly bankrupted his country, never accepted any responsibility for his actions, changed his mind as the mood took him, and considered himself almost a god. The account of his profligate spending, vainglorious wars, rapidly changing religious doctrines and vicious persecution of all those he considered less than servile- Catholic or Protestant - is damning. Nero, Caligula or Stalin? The moral: power should never be vested in one person to that extent. This holds true today, as it did then. 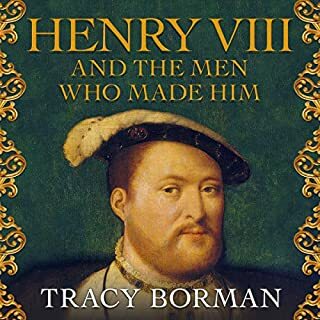 this is one of the best audio books I've ever listened to on Henry VIii. great insight to a favourite King<br />enjoyable. I have had this heavy tome for many years but have never got around to rereading it. 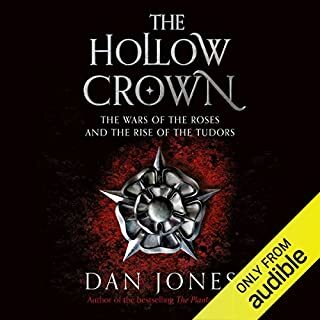 Having bought the audible version, I could listen to it in bite size chunks. It is a little dry in places but if you want to delve into the history then this is for you. Alison Weir is great is at historic detail, I love her books.